I’m kind of laughing to myself because I picked up this trilogy not knowing a thing about it, just that I had seen it around A LOT and people seemed to really love it. Well, they seemed to really love Noah Shaw. haha. Just in case some of you are like me and still not in the know about this trilogy, this is a THRILLER. And while the romance in it is quite good, it’s definitely not a cutesy contemporary romance. I don’t do a synopsis on any other book but the first in a series to avoid spoilers. And there is absolutely no way I can do a synopsis on this one, because it would totally ruin the first book. The Evolution of Mara Dyer is seriously creepy. Much more creepy than The Unbecoming of Mara Dyer. I really appreciate the relationship Mara and Noah have. It balanced the creepy parts (romantic relief??) and I just like who they are as individuals. The way the first book ended, I thought Mara was turning out to be annoying, but she pulled it together. ha. Noah and Mara both grow as individuals and as a couple, and I like how solid they are. It's nice to have something you can count on with all the other uncertainties. The plot deepens, and if you're curious at the beginning, you're nearly dying with curiosity by the end. I have some super huge theories and am anxious to see if they are correct!! I really hope the last book resolves all these huge questions in a satisfying way. Great characters, great tension, total page-turner…just not sure how I feel about it yet, given all the unanswered questions. 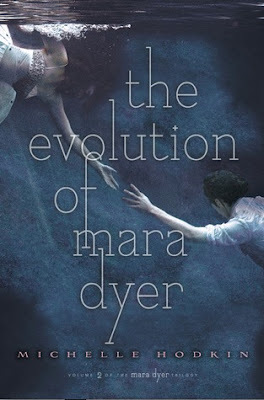 The Unbecoming of Mara Dyer is a book I would highly recommend to a person who loves books with supernatural themes or to someone who wants to read an interesting and unique book. Unbecoming has a great ending and I can’t wait to read through the trilogy.